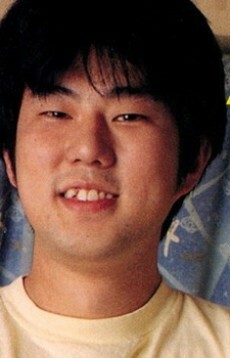 Eiichiro Oda is married to Chiaki Inaba, who had played Nami during Jump Festa One Piece stage performances. In a recent Japanese fan poll, Eiichiro Oda is currently ranked the 48th Most Popular Character in One Piece, despite the fact that he has never included himself in any issue of the manga (excluding SBS). He voiced the character "Odacchi" in a soccer-themed short that aired with the 3rd One Piece Movie. "Odacchi" is Oda's nickname, and he played soccer when he was younger. Oda is a fan of rapper Eminem, filmmaker Quentin Tarantino and Tim Burton. Oda's 3 favorite movies are Seven Samurai, The Nightmare Before Christmas, and Young Guns. According to Oda in an interview for US Shonen Jump, his favorite villain in One Piece is Buggy the Clown (he joked that he literally threw him together).